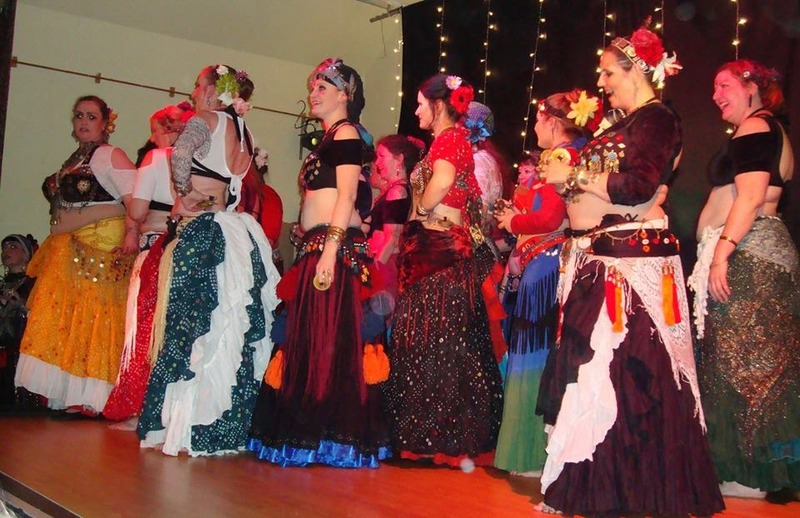 Tiverton called ...... and Pips and I headed 'home' to see Kelley, the Kalash ladies and the rest of the Oasis family for the Toucan Christmas workshop and feasting!! After a full day of fabulous workshops lead by Kelley, tired and weary, we headed to the hotel to change and then walked down to the restaurant for eating, drinking, dancing and merriment!!!! March came and bliss, at last THE weekend was upon us; I had missed the previous Oasis Christmas gathering and had been going cold turkey since then (so you can imagine that I’d also been much looking forward to going back!). 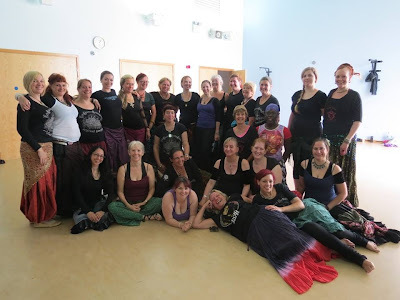 Our Esme was joining us for the first time and off we went and met up with old friends and made new ones and enjoyed a great workshop which focussed on fluid transitions. At the end of the afternoon, we went to our B&B the warmly recommended The Swan at Bampton, where we changed, showered, and spruced ourselves up in readiness for our tremendous evening party and Ashnah performed The Astoria Waltz for the last time, and may I announce that at long flippin’ last, Ashnah managed to have this dance taped lalalalalala. We finished the performances with everyone performing on stage at once!!! What a wonderful evening it was - full of performances, general dancing, buying, eating, drinking, silliness........ and we only had to walk up the road to bed zzzzzzzz. With an invitation from Maho, I joined her along with Lucy Moss from Sundara and Zaida Jubera once again for a performance in London, this time at the Silk Route - Arabian Cabaret Bellydance Show held at The Bedford in Balham. The evening opened with school/student showcases which was represented by Al Warner's School, Bellyssima (Phoenix Sahar's School) and Maho's own students too, followed by the professional dancers Al Warner, Anna Stevan, Emma Marshall, Naama Gelber, Oriental Dreams (Liza and Irna), Phoenix Sahar, Roxana, Zooey Aleeza and of course Maho, Lucy, Zaida and myself. A great evening was had by all, and sadly had to make a hasty retreat after with long journey's to make to home. Let's hope this latest and most interactive event becomes a fixture. 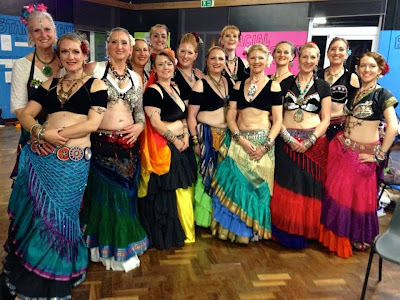 A family affair fronted by the lovely Helen Sleiman, the evening had everyone bumping and grinding no doubt fulfilling its seeming philosophy of bringing the stage to the audience (how else would you account for a Bellydance showdown)!! 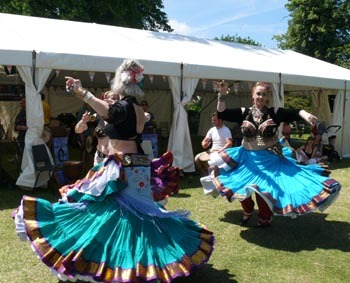 On the programme were belly, tribal, salsa and zumba dancing along with some cancan!!! Familiar faces had the opportunity to catch up and among other (apologies if I'm leaving anyone out), Nikki, Helen (in her belly, salsa and zumba dancer incarnations), Isisters, Sundara-Devi, the Zumba Swindon team (who I must say had a rather awesome male shimmyer in their midst) and Ashnah, all made for a nice all-round programme. Oh by the way, we were fed and watered, so what else could we possibly want. Thanks to all for a fab evening!!! 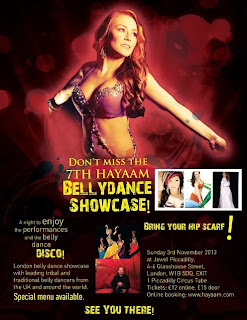 Maho Beaumont invited Lucy Moss from Sundara, Zaida Jubera and me along to dance at this event which is held at the Hayaam Bellydance platform in Piccadilly, London. 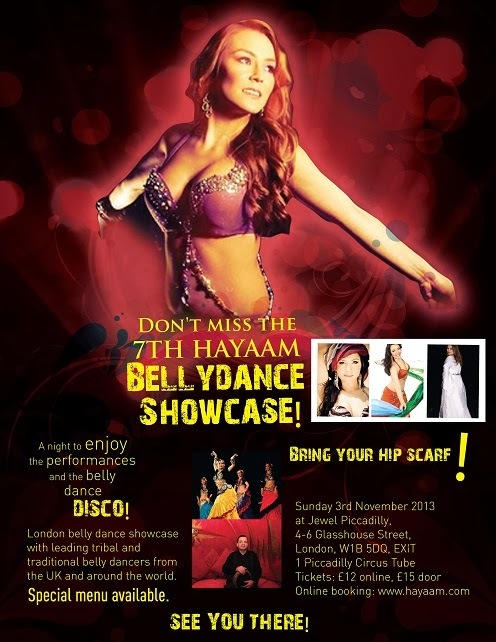 The venue is in the fabulous rooms upstairs in the Jewel Piccadilly which had a wonderful, joyous audience. 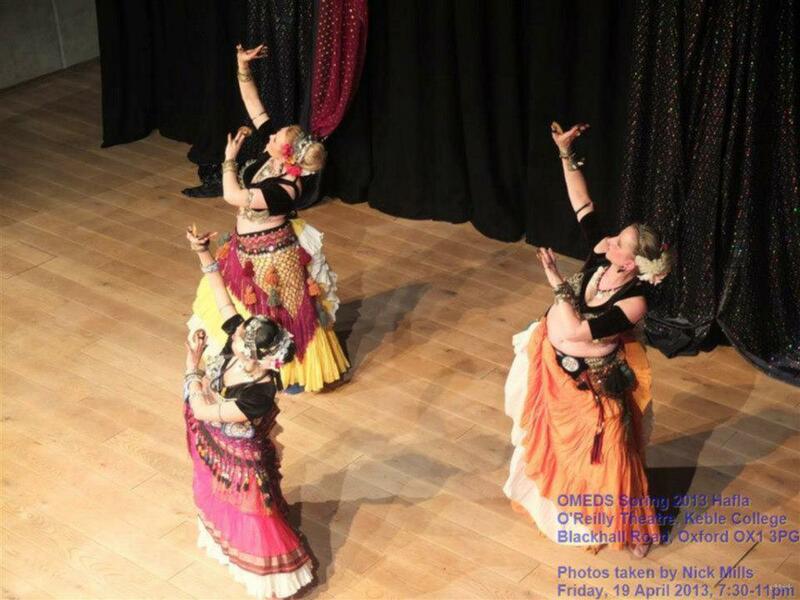 Also performing that evening were the fabulous dancers Amalura, Sarah Malik, Maelle, Tahaty, Anna Kemper, Rachel Rafiefar and Anouk. Unfortunately the rain decided to join us that evening too, but it didn't dampen our spirits ... only our feet!! Thank you Zaida for the use of your fabulous shop!! 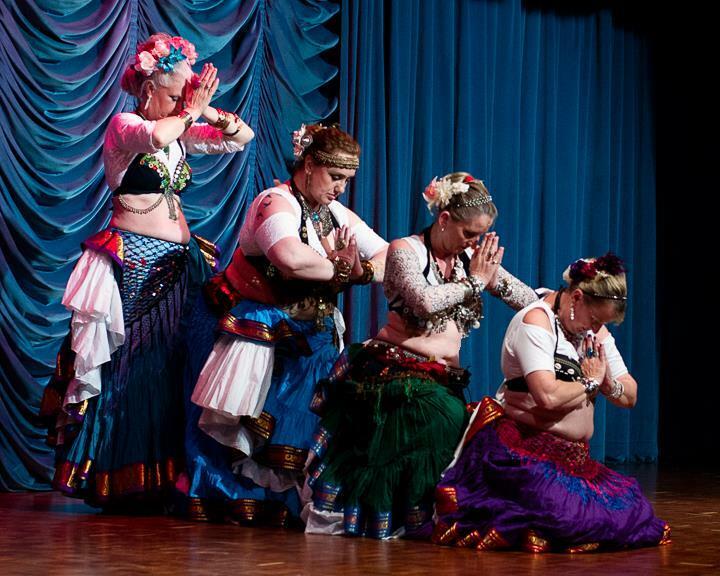 Ashnah were invited to take part in this fundraiser against breast cancer, and the group, accompanied by our Esme from Ashnah-Talmiz, had no hesitation to join in this event. The setting was the Market Place in the centre of Abingdon which was donned in pink of course!! We were fortunate again to have good weather and were on the programme alongside Abingdon Centre Community Choir and Mr Hemmings Traditional Abingdon Morris Dancers. There were stalls carrying nik-naks and our favourite, a cake stall, which had lots of yummy goodies with pink toppings by way of a nod to the cause. There was also a gazebo set up nearest Costa where appropriately enough an attempt at the world record of putting on and taking off a bra over a t-shirt was attempted. I understand a new world record was set - 10 bras in a minute which has yet to be recognised. One can't but help be in awe at the ideas people come up with to realize a target!! Ashnah at last got to visit the Sahara Sisters at their new home in The Citadel, Wonderfully located in the centre of town, and spent a lovely evening in a very welcoming and lovingly draped hall straight out of something reminiscent of 1001 Nights. Thank goodness for dance platforms!! I don't think you can have enough of them and Oxfordshire and Berkshire are fortunate in that respect. 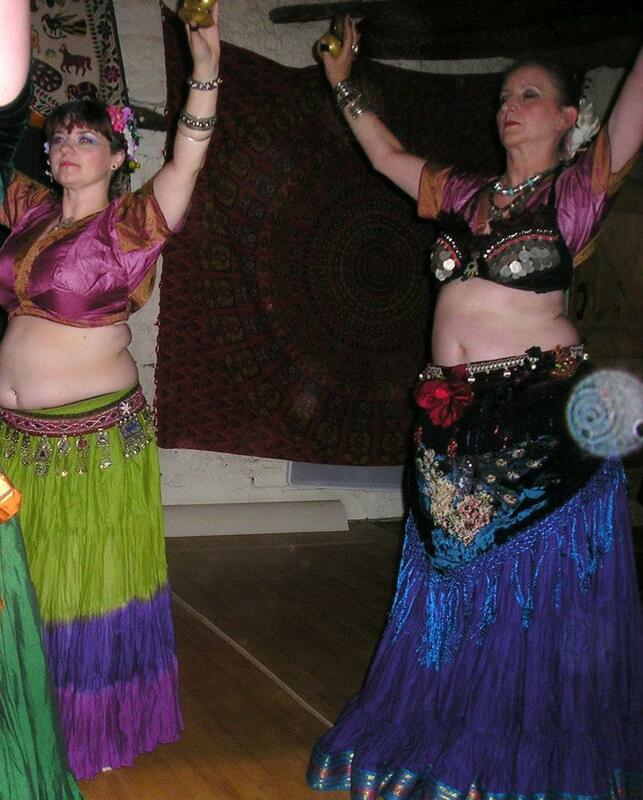 Hipnotic is one such evening hosted by Covert Bling which takes place quarterly and which Ashnah attended this September 2013. It's a perfect opportunity to meet new people, (networking is the way to go, don't you know!) and see familiar ones (such as Nirzari whom we'd seen the day before and we don't ever tire of them)! Many thanks for the hosting ladies! Our hostess Arpita Desai beckoned, and the range of eclectic dancers who gave up their time to showcase, was rather impressive. The fundraiser this year, organised by Mike Daniels and the Rotary Club of Bicester, was in aid of Kidney Research UK, and made all the more poignant as one of our own, Sundara Penny's son Auryn became afflicted with it this past year. I'm pleased to say that he was there on Saturday fighting his way back to good health. 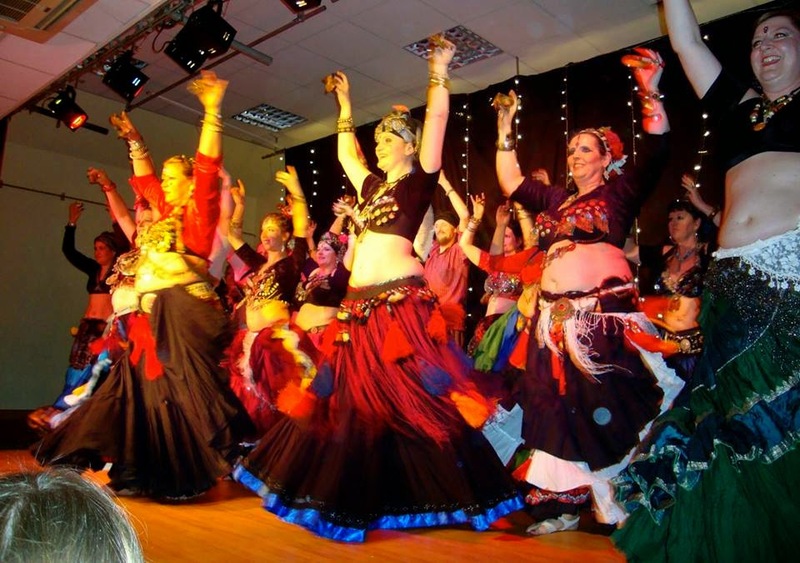 The programme on offer that night included modern dance, classical Indian, bellydance, ballroom, Latin and of course ATS® were all represented. The lady mayoress graced us with her presence and a great night was enjoyed by all. 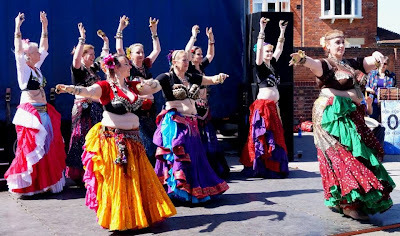 The show managed to raise just over £3000 for the cause - yay to all the organisers, dancers et all and well done and thank you Arpita!!! 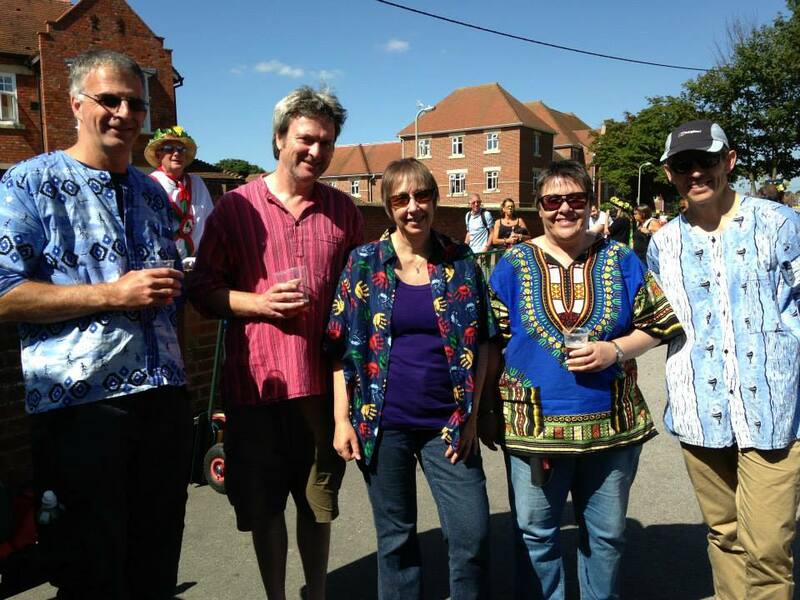 We're back from the 12th Wallingford Bunkfest festival - nearly the end of the outdoor season for 2013 (sniff)! 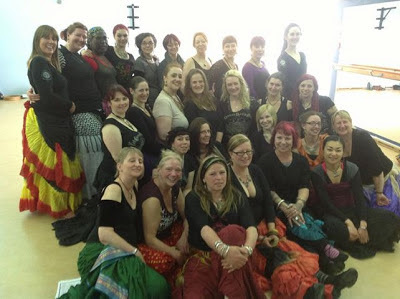 We had an amazing time with the wonderful Oxford Drum Troupe (ODT) and the dance line-up included Shereen and Mel of Nirzari from Hampshire, our own new student troupe Ashnah-Talmiz (with 'our' Janet being joined for the first time by Esme - congrats 'our Esme' on your debut), and also a first for us, our collaboration with the lovely Jo Taylor of Namaste all the way from 'up Nawf' - Stockport (lalalalala)!!! Ashnah have been going to Bunkfest for over 6 years or so and dancing with many a good Morris side, as we did this year - brilliant fun when one gets to participate by receiving the odd kiss (Shereen), clapping sticks together with Berkshire Bedlam Morris (though Kay used her zills as didn't possess a stick) and generally each side cheering each other on!!! 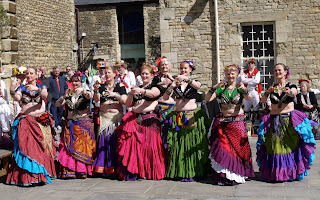 If I may say my personal favourite people have always been Beltane Border, and this year, at last, Ashnah shared a slot with them - they're the 'heavy rockers' of the Morris world as far as I'm concerned, long may they stomp, shout and growl (and roll of course)!!! 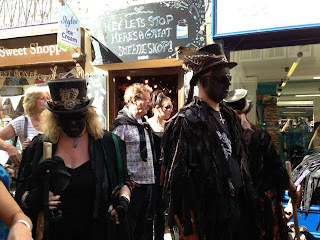 It was a foregone conclusion by Ashnah, that if we weren't ATS® dancers, we'd be joining a Border Morris group and don Doc Martens, big 'ug' sticks and black our faces!!! Looks great fun!!! All danced out after the daytime festival and filled with 'real' lemonade, beer, iced Pims, all manner of yummy food, we then trooped off to a local curry-house (where typically many of us over-indulged), then ventured back to the festival to listen to some live bands and bop around some more. As Jo was down in our neck of the woods for the whole weekend, Pips, Kay, Jo and I went for a walk on the Sunday and showed her some local sights - venturing up Wittenham Clumps, climbed a tree to view Oxfordshire below (yup, we really did climb a tree whilst Rita played at being a caterpillar, ahem....), walked to Wittenham lock and weir, played 'Pooh Sticks' (Jo won one race and Kay the next), walked for an hour and a half then ended our lovely day in a local pub garden for lunch and beer (shared with a few local Oxfordshire wasps)!!!! What a fabulous weekend it was!!!!!! The best smallest music festival, and it’s local and it’s free – what else can one wish for? 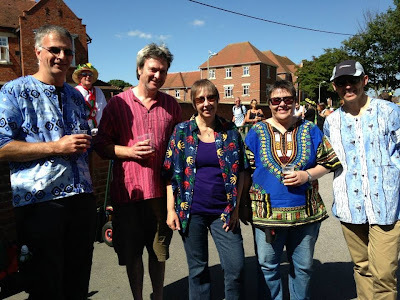 Ashnah, minus Kay (who was away sailing the 7 seas) accompanied Oxford Drum Troupe to this event which takes place in the grounds of The Plough in Long Wittenham (hence the name Wittfest). 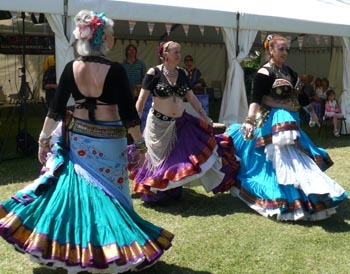 It was so chilled and family friendly with all manner of music and dancing. This gathering is also a fundraiser in aid of local charities so I suppose there’s nothing else to be said but that I hope the organisers beat last year’s total! Buzz buzz buzzing! We couldn’t wait for our afternoon of workshops at Saturn Fitness Studio, especially as they were the first where we’d invited one of this country’s top ATS® dancers to come and teach. In collaboration with MahoBeaumont, Ashnah had put together 2 workshops which catered to both the beginners and more advanced. The syllabus, although discussed and agreed upon was left sufficiently loose to make sure everyone was kept interested and challenged. There was a nice mix of aptitude and the event brought new faces to the class and of course allowed us to hook up with old friends as well. Big thanks to ‘our Janet’ for baking not 1, not 2 but 6 cakes! Thanks to all who came, and danced, and supported and of course big lalalas to Maho! For us, the Hathor hafla at Kidlington equates with the onset of summer!! A well attended, popular, yearly event with the most sumptuous spread donated by guests. This year we premiered our latest creation - a slow ATS® dance to one of the most beautiful pieces of music we've heard in a long time ...... the sort of music that brings a lump to ones throat which also seemed to have struck a chord with the audience too! 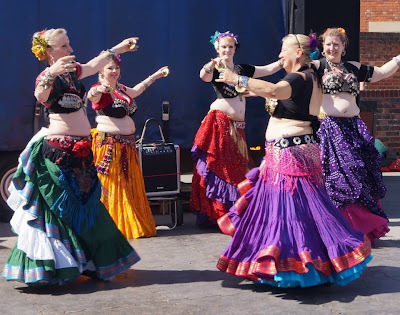 Bellydancing was firmly in the driving seat this year with Nikki Livermore, Loreley Rice, Hannah Newton and Dodo Pratt among others showcasing their respective classes. A huge thanks to the lovely ladies of Hathor for putting this together! 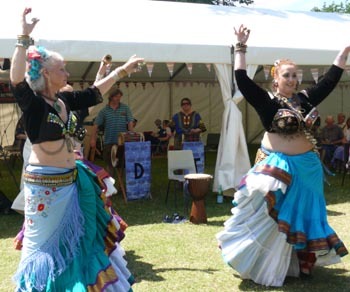 Following last year’s successful event, the Abingdon Town Council joined forces with The Oxfordshire Play Association and hosted an afternoon of dance and family friendly activities followed by a paid evening of music and fireworks. 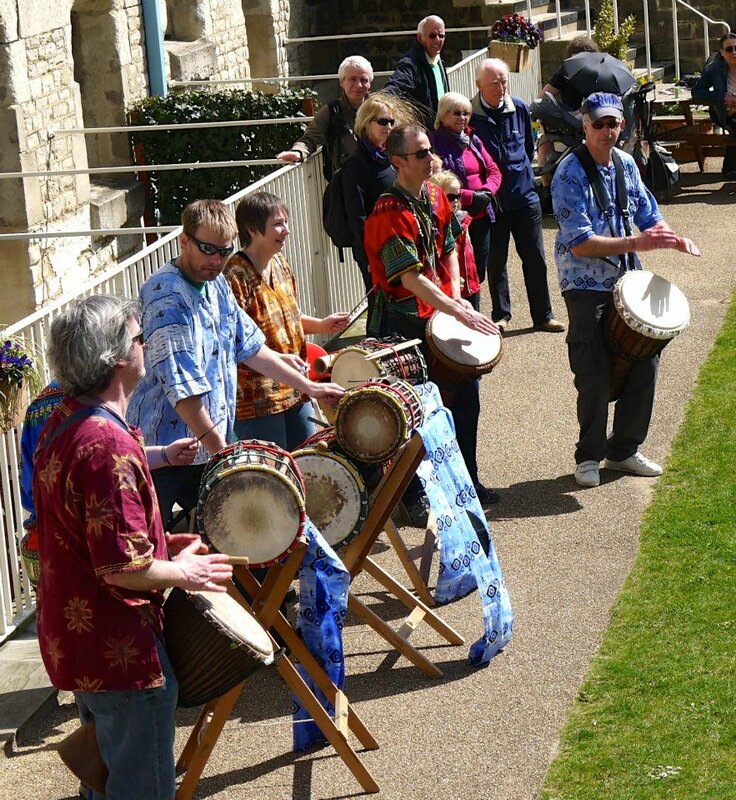 Ashnah took part in the day’s events where we were joined by the wonderful Oxford Drum Troupe (ODT) drummers. Once again, despite the bigger crowds at The Abbey Meadows and the increased stalls, the atmosphere was so wonderfully safe and friendly! We spotted so many friendly faces in the crowds so a big shout-out to all our friends who came to support us! This was also a day of celebrations for us as we wished our lovely Rita a very Happy Birthday lalalalala!!! We rounded off our dancing in the park off with a trip to The Kings Head & Bell with ODT and friends for drinks and nibbles all round along with present opening by Rita (with plenty of gasps, oohs and aahs at her gifts), then later some of us moved onto Pizza Express where we lounged in the garden til early evening, and dined in honour of Rita's 'special day'. Hosted by Kalash Tribal and Tribal Fire, these workshops had been much anticipated by everyone in my ATS® sorority and so typically, from the 4 corners of our dance world we all met up at Tiverton. As it turned out Ashnah shared our lovely Angel B&B with Phil Thornton and his lovely wife, and we were able to help him out on the last day when his car developed a faulty clutch, which ensured they made it home safely! 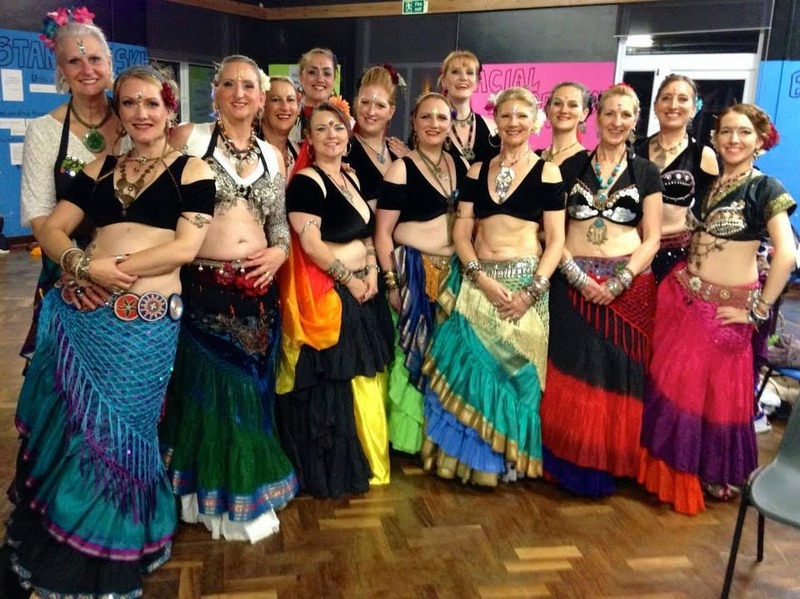 Workshops ..... it was all about drilling, updating, polishing, tweaking, zilling new rhythms and blending with other rhythms, partnering, dancing cafe style, oooh and baskets, and finally each group sorting out a performance with minimal time eek!!! ... all of which was punctuated by food and rest and lounging in the sun!! The after-party at Kelley's barn was full of excited chatter, scrummy food and an excellent performance by Wendy Allen of FCBD®... followed by much more dancing (oh so much more) – Heaven!!! 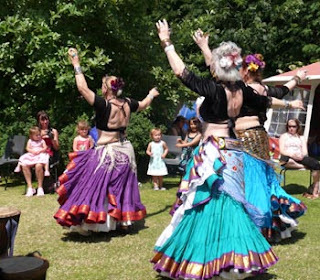 Being invited to dance at our lovely friend Hilal's birthday bash, it turned out to be a beautiful sunny afternoon enabling us to all get out into her wonderful garden. Milling around were so many guests, who seemed to be all Nationalities (hardly surprising with Hilal's friendly Turkish nature). As usual when visiting Hilal's house, there's sumptuous Turkish food, with some guests providing some dishes too - some Polish dish I can't for the life of me remember what the name was! 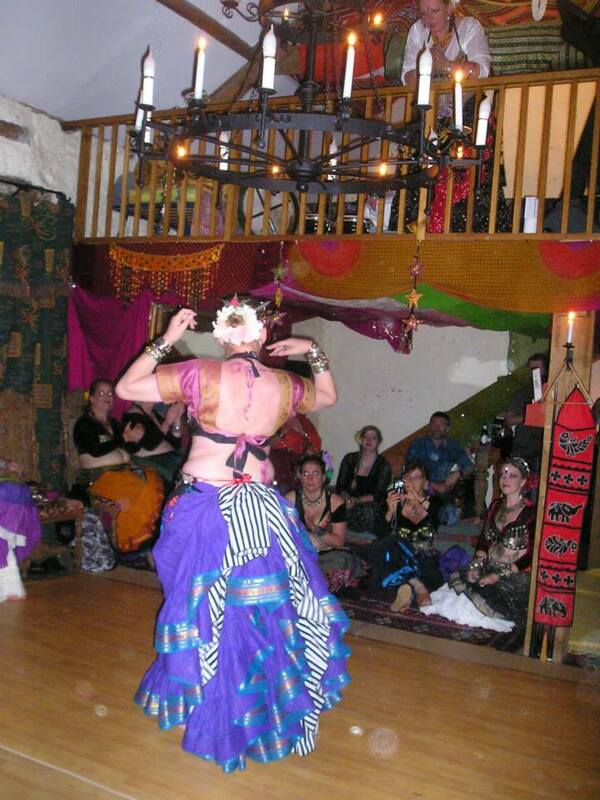 Then the dancing and music started!! With Hilal being a dancer in the Oxford Balkansko Oro Balkan Dance Group, they all performed traditional Balkan dances, circling around the garden with their intricate footwork, and with Philippa and I representing Ashnah, we danced 3 numbers (a little tricky on grass). Philippa cleverly brought 2 left shoes, and as she has a left and right foot (mmm) decided to abandon them and let the grass tickle her tootsies!! The musical afternoon was rounded off with fabulous Turkish music - Hilal's brother Cahit playing the violin and oud, and his wife Akqul playing the bendir, whilst guests sang Turkish traditional folk songs and danced. 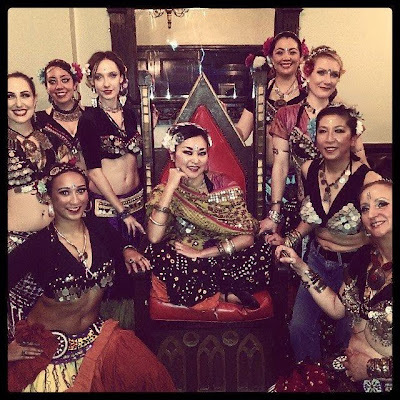 The party this time around definitely had extra tribal flavour – OMEDS extended an invitation to the lovely Maho Beaumont who featured as the guest dancer. I hope the name will stick – it seemed evident to me that the woman moved like liquid gold - oozing sparkling charm, and pouring over each detail with such finesse! She had everyone entranced and the performance was totally mesmerising. 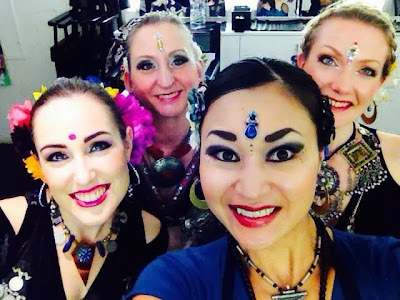 Maho also shared her platform with our Kay from Ashnah and Sundara’s Lucy Moss. Kay's OMEDS ATS® Level 1 and Level 2 students performed 2 numbers together along with Kay and Rita zilling in the background, which all went swimmingly well, and Ashnah revived and tweaked an old dance, dusted down the costume, performed it and have now put it to bed for the forseeable future. 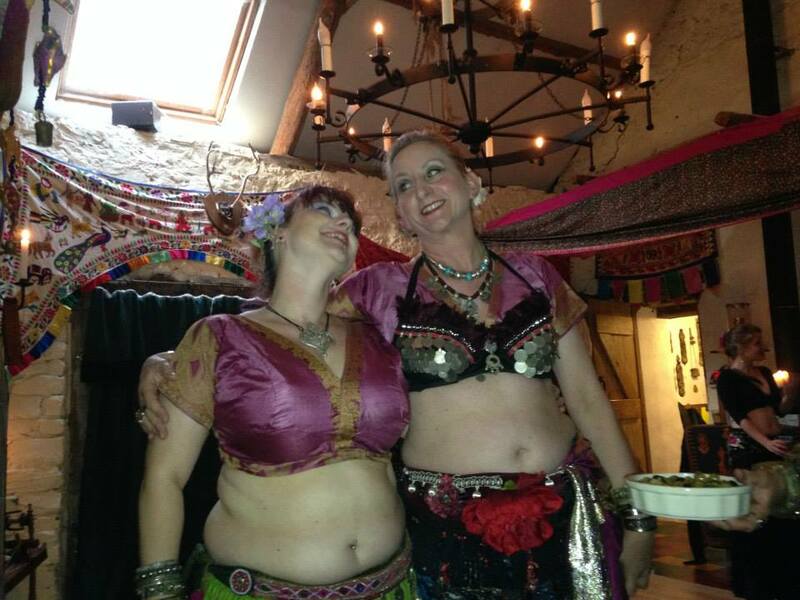 The rest of the evening was very enjoyable with a fabulous showing of traditional bellydancing and fusion tribal. 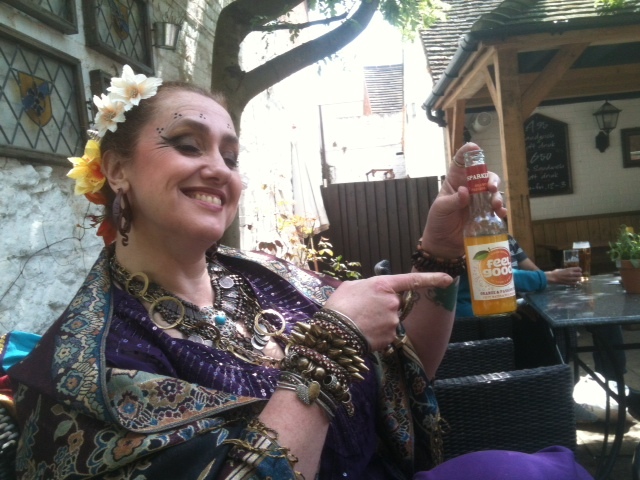 Of note, a lovely little fairy made her appearance flitting about most gracefully in the lovely shape of Gwen Booth! Check out our new page Maho Beaumont Workshop. Ashnah are hosting an afternoon of workshops with Maho on Saturday 9th June at Saturn Fitness & Wellness Studios in Abingdon, Oxon. 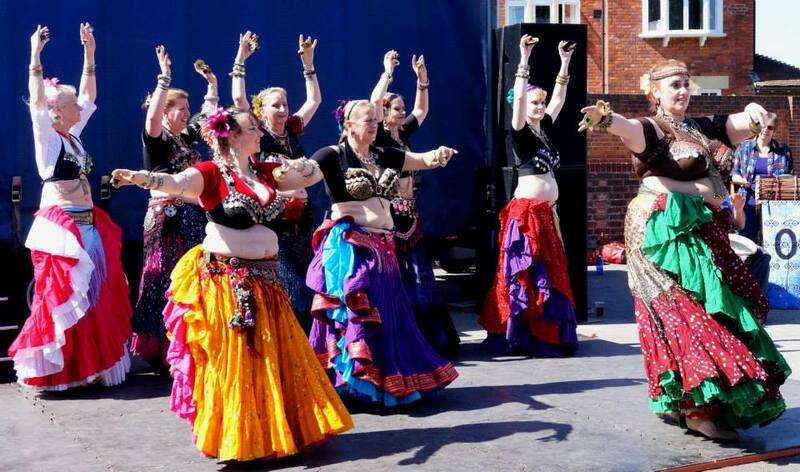 Don't miss this opportunity to learn from one of the top UK FCBD® ATS® teachers/dancers. Only a few places left, so book now before they're all gone!! We're still buzzing from our outing on Saturday! It was a gloriously sunny day and our Supertroupe’s (group temporary name) first outdoor event (Ashnah / Nirzari / Sundara) with the lovely Oxford Drum Troupe. 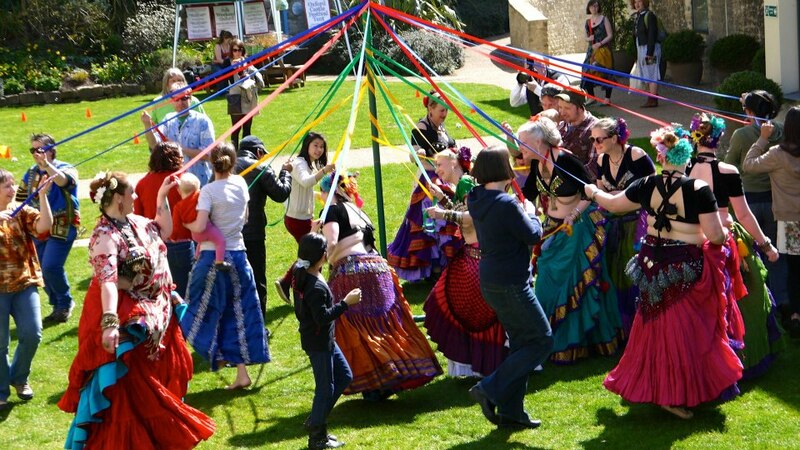 Colours galore, infectious beats and everything happy and vibrant. Our two allocated spots were at The Castle where we even ended up being invited to join the Gloucestershire Morris dancers! (hysterical). 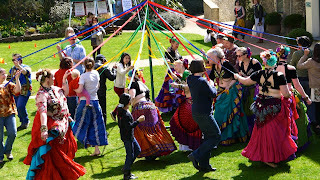 We also made so much noise the organisers approached us (and of course we said yes) to be the warm-up act ahead of the Maypole workshop - and then of course simply had to join in the Maypole dance!!!. Ahead of our second slot on Gloucester Green, we worked our magic on Bonn Square and ended our day dancing in The Far From the Madding Crowd pub which was awash with Irish musicians and foot stomping rhythms – brilliant all around! 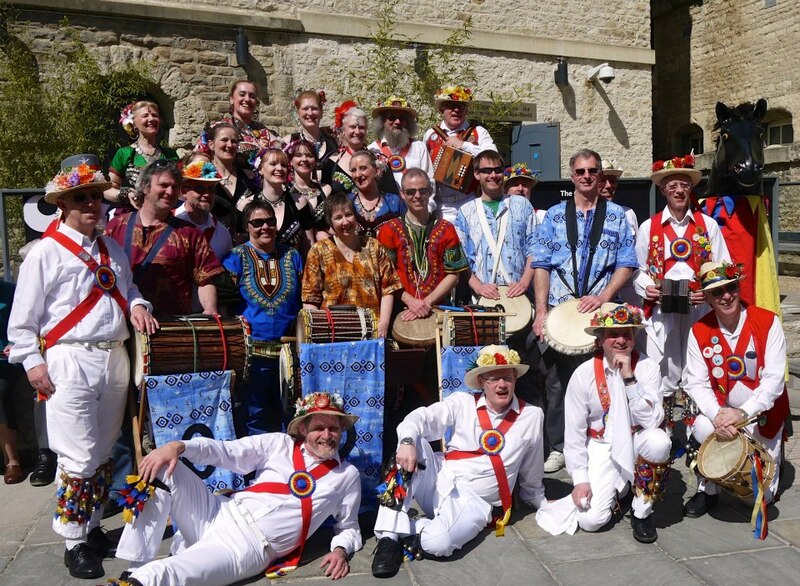 ATS® dancers, African drummers, Morris men ..... and a horse!! Snapshot of our fabulous day! I couldn’t wait for this hafla! Hosted by the lovely Sue Dickinson, and falling on the first weekend of Spring, we’d assembled for the mother of all our collaborations yet; Ashnah were sharing the platform with Nirzari and Sundara and Devi, the Sundara student group who were showcasing for the first time! 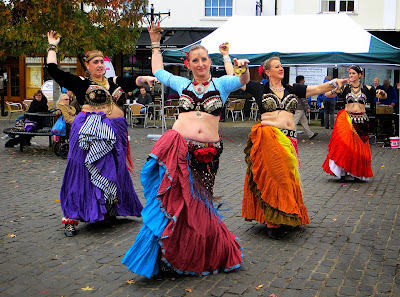 As you can imagine, the sight of 13 women taking to the stage amid swirling and colourful skirts and zaghreets aplenty was a sight (and sound) to behold! Fab contributions from everyone and the experience is definitely one to be repeated!! 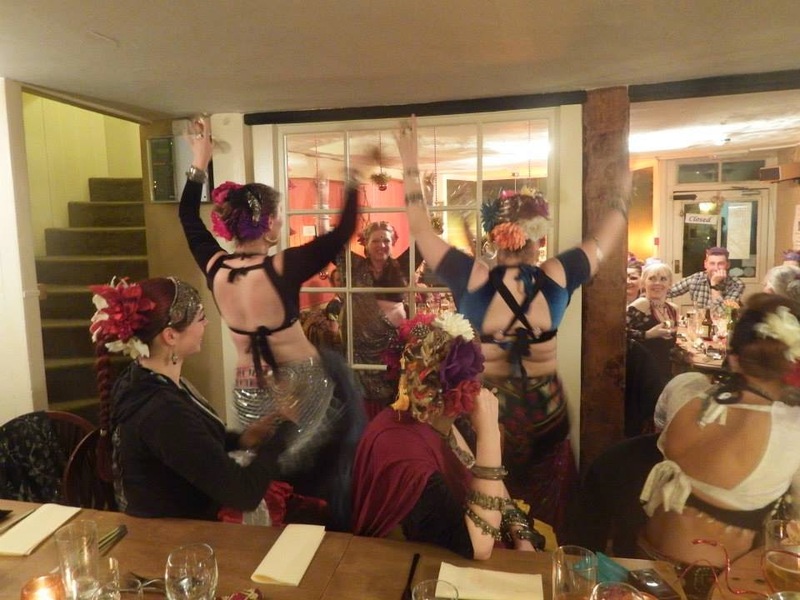 The hafla itself was a nice balance of ATS®, cabaret, and fusion dance and the evening was rounded off by the one and only king Elvis who was resurrected specifically for us! I was all shook up, a huh-huh, in the nicest possible way!! Ecclectic dance festival hosted by Raheesha and her Desert Divas where dancers and musicians descend on the mystic land of Glastonbury for a weekend of merriment. My own outstanding memory is Khaled bringing the house down on Saturday night – totally exhilarating! Then there were my teachers from the brilliant Khaled, to the keenly awaited Meena Gorgese (Lebanese blood don’t you know!!) 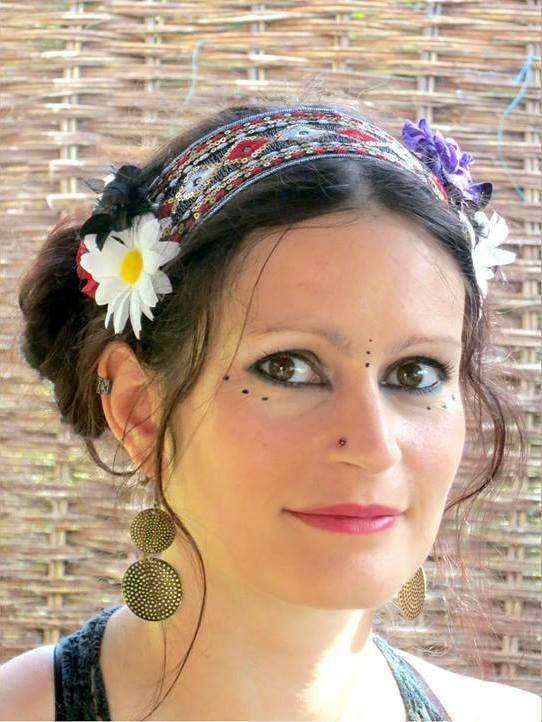 to my lovely Philippa Moirai who led us into the Dynamic Duets workshop. Much shopping was had (yay), too much money spent (sniff), much food and drink enjoyed (yum) and of course much strutting of dance (lalalalala) – roll on 2014! !